The U.K. is a very popular travel destination, but while many flock to the bright lights of its big (capital) city, there is actually so much more to see than just London. So while that metropolis is truly spectacular, and one you definitely have to visit during your lifetime, there are loads of locations elsewhere in the British Isles that definitely deserve a mention. In fact, from the southern coast to the Scottish highlands, there’s adventure around every corner (ready for Viking cities, Roman baths, Italian food, windsurfing, and jazz festivals? Read on!). Making it even better: everything is surprisingly close, since it’s only a small island; in fact, you could fit the U.K. into the USA 39 times, with room to spare! So, if you’re planning a trip to the UK – where should you go? The historic city of Bath is a true English gem, and one not to be missed. You can conveniently catch a train from London’s Paddington Station directly to Bath, and the journey takes as little as ninety minutes. Although this city is most definitely worth a visit, bear in mind that there is so much to see that a day trip will do it very little justice! 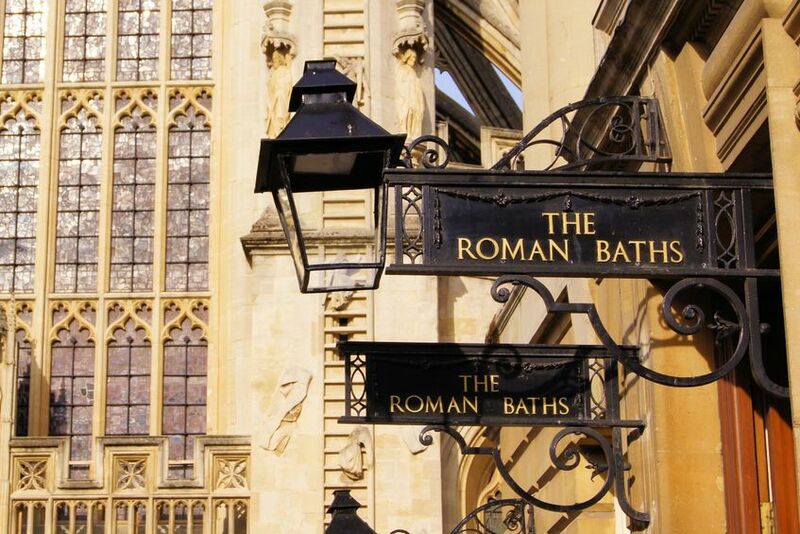 Have a look at the historic, well-preserved Roman baths that date back to 60-70 A.D. Or spend your afternoon indulging in a delicious afternoon tea, and then head up to the Royal Crescent to view the stunning array of terraced Georgian townhouses with beautiful views. There are also plenty of opportunities for shopping, with lots of independent boutiques selling various artwork, clothing and souvenirs. Watering-holes and restaurants are plentiful here too – from the Vegetarian Acorn Kitchen(ranked #14 on TripAdvisor of 398 restaurants in Bath!) to the craft-brewed beers at the historic Old Green Tree pub. Ah, the charming university town of Cambridge…a city brimming with history and places of interest. Meander around the cobbled streets as you dive in and out of Cambridge’s many old style pubs and boutiques. Of course, a visit has to include the famous university buildings, with a stroll down Kings Parade (ice cream in hand from Benets Café), and taking in the truly stunning sight of Kings College. Head along the river for a punting tour, and for museum buffs, the Fitzwilliam Museum is well worth a visit – plus, it’s totally free! The University Botanic Gardens are another great way to spend an afternoon, and the city has some pretty impressive burger joints — or if you’re after something a little higher-end, there’s always the 1-Michelin star Alimentum restaurant, where you can have a meal consisting of seven or ten courses. Another city full of ancient history (with an unusually eclectic range of attractions for history buffs), York is bursting with things to do, places to see, and, of course, delicious food to eat, including Italian/Sardinian at Delrio’s. Start by wandering down one of the oldest shopping streets in the U.K., The Shambles, lined with timber-framed buildings that date back to the fourteenth century, but now home to an array of gorgeous boutiques. Next, walk to the top of the York Cathedral, give yourself a scare at the City Dungeon/Ghost House, and make sure you go on one of the city’s famous ghost tours! This city also has a rich history in chocolate, so for any chocoholics out there, the York Chocolate Story and York Cocoa House Chocolate Emporium are must-visits. Lastly, the Jorvik Viking Centre – built on the site where a well-preserved, 1,000-year old Viking City was discovered just a few decades ago — is a fun way to spend the afternoon, and a great attraction for all ages (note: it is being refurbished, due to the December 2015 floods, but is expected to re-open in Spring 2017). Why not head up to Scotland’s capital for a long weekend? Edinburgh is split into two beautiful halves: the Georgian new town and the Medieval old town, both with plenty to do, see and take in! This is a vibrant city, with a fantastic food scene and plenty of activities, including its many festivals (separate ones for Jazz, Film, and Books, and several others, plus its very famous summer arts festival that attracts visitors from around the globe). Make sure you climb Arthur’s Seat, the main peak of 640-acre Holyrood Park, and sit down to take in great views of the city. Edinburgh Castle is also well worth a visit, along with the Royal Botanic Garden and plenty of other hidden gems, cathedrals and galleries. Note: it’s worth going on a city tour if you want to squeeze in seeing as much as possible! Home to stunning coastline, Cornwall is a truly beautiful area of the U.K. that has to be visited by beach- and surf-lovers! St. Ives is a particularly gorgeous area of Cornwall, with a picturesque harbor, five beaches and plenty of restaurants and cafés to feed your appetite (have a look at its sweet, art-inspired website to get acquainted). The town also has a big art scene, with many galleries to peruse at your leisure. The St. Ives museum is definitely worth a couple of hours of your time, as is the Barbara Hepworth Museum and Sculpture Garden, dedicated to the famous Modernist sculptor who was from the area. For active folk, there are plenty of coastline sports available in summer time, including windsurfing and kitesurfing. If you catch a sunny day, then Porthminster Beach is one of the area’s best, and is maintained to a high standard of cleanliness at all times.